Happy First Day of Spring! The Vernal Equinox — the moment when the center of sun is directly over the Earth's equator — will occur at 5:58 p.m. EDT. Yes, the equinox also means equal periods of day and night, but only on the equator. We'll get just over 12 hours of daylight Wednesday, and some pleasant weather to boot. New Jersey's normal high temperature for March 20 ranges between 52 and 53 degrees. And that's exactly where we should end up Wednesday. While we'll start the day with sunshine, clouds will start to build in by Wednesday late morning. It will remain dry and fairly pleasant all day. 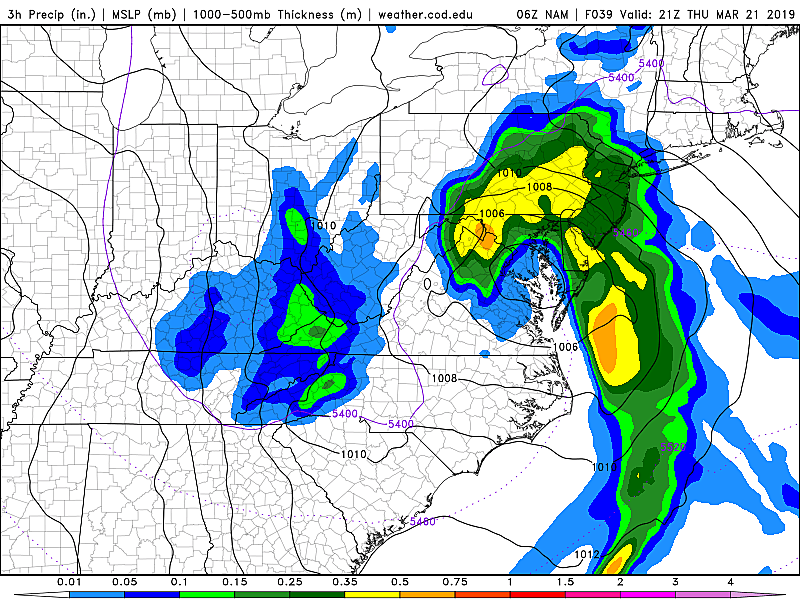 —RAIN... Showers will likely bubble up from the south Wednesday night, probably holding off until after Midnight. Scattered pockets of light rain will pass through the Garden State Thursday morning. Then heavier, steadier rain arrives Thursday afternoon through Thursday evening. I believe most rainfall totals will end up between 1 and 2 inches — pretty healthy. 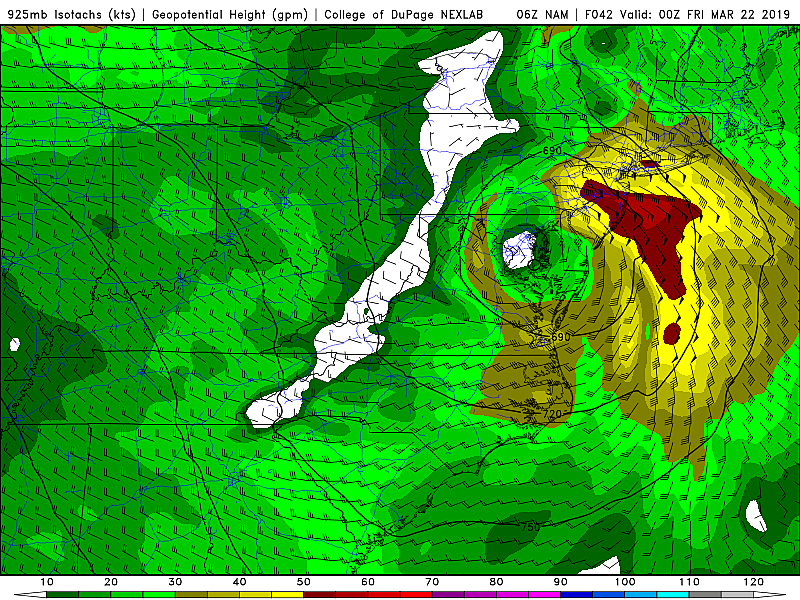 Some models suggest 2.5+ inches of rain, which may be enough to induce some flash flooding. —SNOW... Unlikely on Thursday, with morning low temperatures in the upper 30s and afternoon highs near 50. —WIND... Not really damaging, but definitely noticeable. Initial wind will come from the east-southeast, with gusts over 20 mph. As the center of the storm passes Thursday night, winds increase to 30+ mph with an eventual flip to a westerly direction. On the backside of the storm Friday, we'll see partial clearing with a continuing brisk wind. 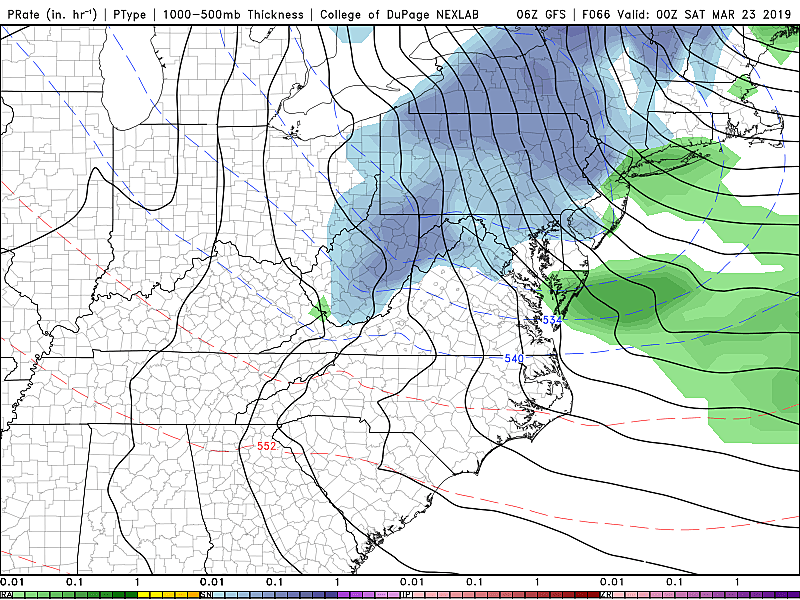 There will be a chance for rain or snow showers late-day Friday (say, between 2 p.m. and 8 p.m.) — little to no snow accumulation is expected. High temperatures will be in the lower to mid 50s, but cooler air will knock on New Jersey's door for the start of the weekend. Sunday seems to be the shining star of this week's weather forecast, with thermometers making a run for 60 degrees. The day will start sunny, although we could see some cloudiness later. I'm torn on the forecast for Monday. Models paint a pretty warm day with temperatures in the 60s, but also a wet day with scattered showers and thunderstorms. I wouldn't hang my hat on either half of that prediction though — we'll have a better view of what's to come after Thursday's storm system clears out. It does appear a big cooldown is in the works for the final week of March, from about next Tuesday through next Thursday. Highs only the 30s? Blah, it's supposed to be Spring! Because of that, we really can't rule out snowflakes until April. However, I do not see any significant threats of accumulating snow on the horizon.